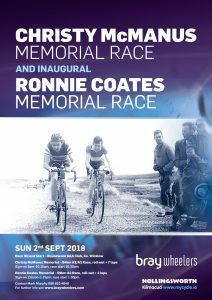 The Christy McManus Memorial Race for A3 and A2 riders, and the inaugural Ronnie Coates Memorial Race for A4 riders, will take place on Sunday 2nd of Sept 2018. The sign on and race HQ will be Roundwood GAA Hall. The race will roll out from Roundwood GAA, and proceed to Annamoe, turning left in Annamoe, straight through Tomriland, followed by left at Boleynass junction, and reach the start/finish line of the circuit just before Ballyduff Cross. There will be 94km (roll-out plus 7 laps) for the A3 and A2 Christy McManus Memorial. 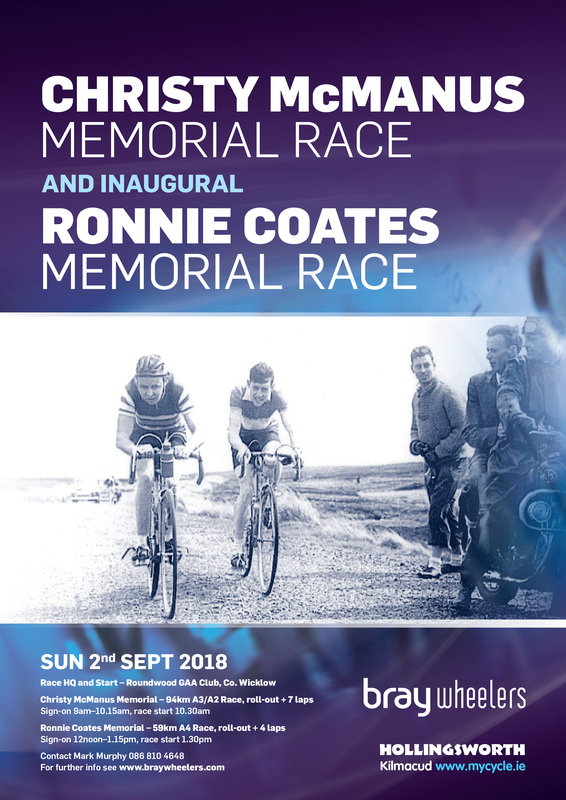 And there will be 59km (roll-out plus 4 laps) for the A4 Ronnie Coates Memorial.